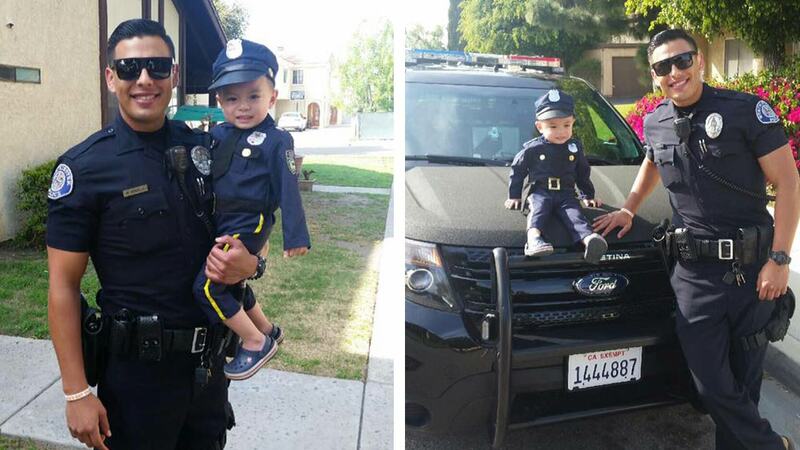 WESTMINSTER, Calif. -- A Facebook post of a California cop meeting a little boy who is a fan of law enforcement has won the officer some online admirers of a more mature variety. The post featuring Officer Mike Gradilla has earned more than 63,000 likes, loves and wows on Facebook, along with more than 4,000 comments. The post started when the parents of a little boy called the Westminster Police Department asking if their son could meet a police officer. They brought him in last week and he got to spend some time with Gradilla. The department's subsequent photo posted on its Facebook page quickly drew widespread attention. Not so much for the cuteness of the little boy or respect for the community outreach efforts by the department, but for what many women described as the "hot cop." "I wanna meet a cop too" and "omg he can arrest me anytime" were a running theme among many of the commenters.